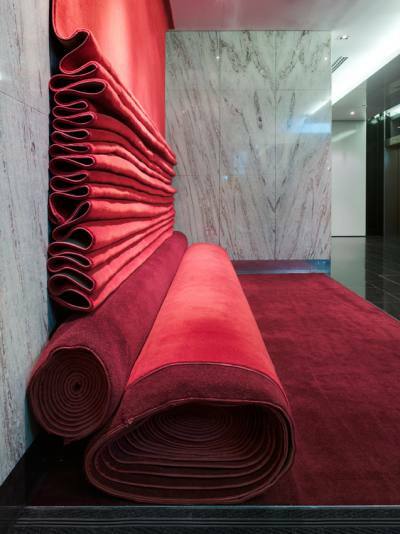 … Now in its fourth iteration, the Carpet Couch has taken on a life of its own, with several versions making their way into the foyers of high-end commercial buildings – not quite the venue one may expect to see an old roll of carpet. 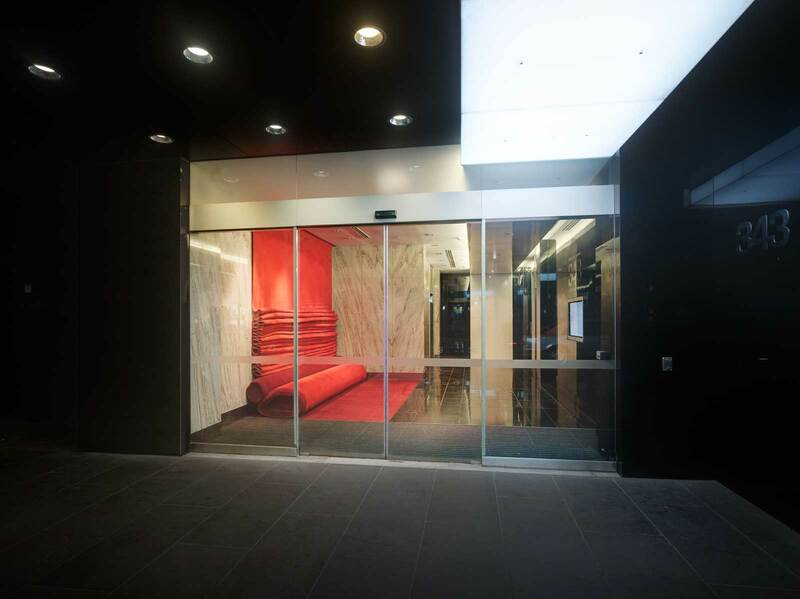 The lift lobby to PHOOEY’s office holds Carpet Couch 02, 90 per cent of which is made from carpet that has been pulled up from their office floor. 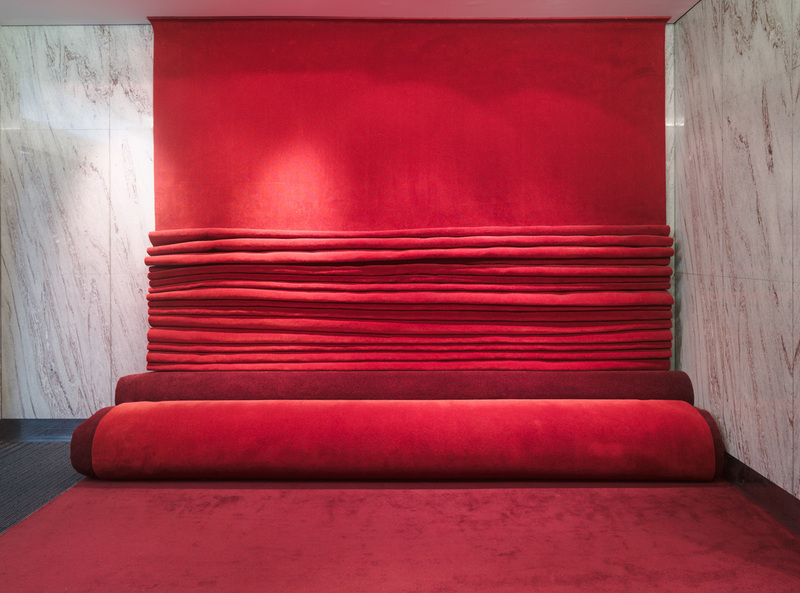 Rippling down the wall, the couch allows the carpet to be revitalised and become structural, almost like a sculpture. 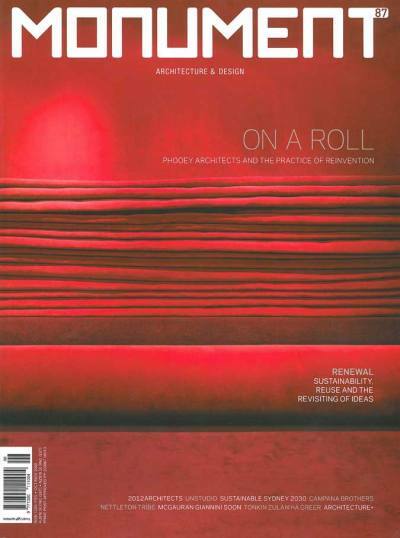 Rowden, E (2008), ‘Waste Not’, Monument, Vol 87, October / November, pp 32-38.